The other day I learned something surprising about bananas. Did you know that bananas were nearly impossible to find anywhere in England during World War Two? As a perishable fruit that had to be imported, it simply wasn’t possible for the government to keep this food source available while there was a war going on. People improvised all sorts of creative mock banana recipes during those years. 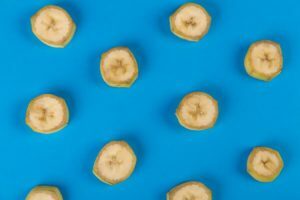 One of the most common replacements for this beloved fruit involved boiling parsnips, mashing them, and then adding a little banana essence and sugar. The resulting mixture could be spread on a piece of bread and eaten. The world changed dramatically between the early 1940s and my childhood. I never would have guessed that bananas had been so hard to find or that people needed to invent replacements for them in the twentieth century. When I was growing up, they were one of the staple snacks in my family due to how inexpensive and healthy they were. I’d often eat a banana after school to tide me over until dinnertime without thinking twice about it. True stories like this one are why I think creative writers – especially those in the speculative fiction genre who are often responsible for creating worlds that are very different from the one we live in – should read books about what life was like decades, centuries, and millennia before they were born. What you and I might consider to be so commonplace that it doesn’t even need to be mentioned was often unthinkable a few generations ago, whether we’re talking about a child’s afternoon snack, a standard medical treatment for a particular disease, a fashion trend, or what the average person might have thought of a specific hot-button issue of their day. Yes, it’s true that some of these societal shifts are taught in school. There simply isn’t enough time for students to study most of them, though, even if they have a teacher who understands the value of showing exactly how much a society can change in a few short years. Knowing how a society responds to the loss of a cheap and much-loved type of food can be invaluable, though, if you’re ever hoping to write anything about scarcity or characters whose lives suddenly become slightly worse through no fault of their own. You never know when a historical anecdote might prove useful. Most of the history books I read tend to be focused on the lives of common folks. That category is broad enough to cover anything from typical diets of a particular age to the evolution of social mores to how different parts of society reacted to certain epidemics, but you can easily specialize in reading narrower slices of history than that if there’s something specific you want to research. Let’s shift gears and talk about Stonehenge for a moment. When compared to what we know about World War Two (and bananas), our knowledge so far of what purpose Stonehenge was meant to fill, who created it, and why they went through all of the trouble of making it could fit into a thimble. Too much time passed between when it was erected and when future generations developed the tools they needed to study it in depth. The individuals who planned and built it had been gone for so many generations by that point that some of our questions about it will never be answered. All of their knowledge was lost with them. On a positive note, the cool thing about studying history even casually is that you’ll begin to see certain patterns emerge from one era to the next even if we no longer have all of the details about how something worked. Stonehenge wasn’t the only culturally or religiously significant place that was built and then later abandoned in our world by any means. There are so many other examples of this happening that I can’t possibly list them all. 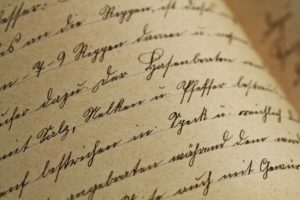 Our languages, customs, diets, and clothing might have morphed a lot over the course of recorded history, but human beings themselves haven’t changed much at all since we first began writing down our thoughts. There have been multiple societies who ignored the warning signs of their coming collapse and who crumbled because of that. There have been many people who were ahead of their time and whose words weren’t taken seriously by most folks until after they’d died. There have been all sorts of inventions that dramatically improved the lives of the people who adapted it. There have been diseases, natural disasters, and conflicts that radically altered how a society functioned for as long as humans have been around to form societies. The more you know about how, when, and why these things happened, the better equipped you’ll be to come up with how similar events could play out in a dragon-infested medieval village or onboard a high-tech star ship thousands of years in the future. Great advice! This ties in with the endless debate over whether you should stick to writing “what you know.” My take has always been that, yes, you should write what you know, but you should always be expanding that list of things you know. Reading history can give us enough understanding of a time period that we can write convincingly about it, even if we never actually lived through it. I couldn’t agree with you more there! Absolutely! I couldn’t agree more! I did, however, know about the bananas, because my mum was a kid in the war and she never missed an opportunity to tell us (in a “you don’t know you’re born” way) about the sweets and fresh fruit they had to do without during the blitz. It’s pretty cool that you got to hear so many first-hand stories of that war. Your mom sounds like she really missed fruit and sweets during those years. Hopefully, she ate plenty of them later on. I have a relative who fought in World War Two, but it was pretty rare for him to tell stories from those days. The few we heard about were so sad that I honesty can’t blame him for that. They weren’t things I’d want to remember either. One thing I have to keep telling myself about the past, where I spend a lot of my time, is that they didn’t have antibiotics, and a simple cut or insect bite could kill. I’ve just finished reading a biography of the poet, Rupert Brooke, who died in 1915 from an infected mosquito bite. Today a course of antibiotics would probably have saved his life. That’s an excellent point. For the vast majority of human history, deaths like that were common. We’re very lucky to live in a time when antibiotics exist. Have you done much reading about bacteria that are evolving to become antibiotic-resistant in part because people are overusing antibiotics? It’s scary stuff. I’ve seen a few things. The scariest was an article about bubonic plague becoming resistant. There are always little outbreaks, but it could become a big killer again if antibiotics can’t touch it. I’ve bookmarked this well-written post, Lydia. Your points have opened my eyes to the vast resources that lie within history, from the commonplace to the complex. I’m excited now! Thank you!